Let's watch a wide variety of videos from different genres. As well as Bali, Java or Minangkabau, which has a tradition of a unique and wonderful art of Indonesian cultural diversity, which is so rich with sculpture, dance, and music, then you will find the art of singing in various regions of Indonesia. Similarly, indigenous peoples Batak, which is located in North Sumatra. They have a very strong tradition, for example in customs related to family, marriage, relationships between villages, social order, inheritance, and of course in the field of culture such as dance Batak and songs from Batak, which will make you amazed. Batak songs are generally well suited to be displayed at a family party, or wedding parties and other traditional events. They are very good at creating beautiful lyrics, entertaining, but there is always a certain meaning, for example, advice from parents to their children. There is a famous Batak song, titled Poda. This song is about a father who gives advice or a more appropriate message to his son, who would go wander to another city, for example, from one of the picturesque villages around Lake Toba to Jakarta. The father gave his son a message that prayer life, well-behaved, polite, do not intend worse during fighting in the seacoast. Message father accompanied his son that in order to survive and succeed. As the oldest child, parental expectations to the son, would become the next generation who will protect his younger siblings. The message was also meant to be a mandate, as well as the blessing of parents to his son. Poda, now is a song that must be sung at family events, particularly if there are parents who will release their children for success in college studies or any other country or city, which is certainly far from their homes. Note: Poda song on this YouTube video is sung by Imelda Sipayung, who had a son, who is now studying at a university in the United States. 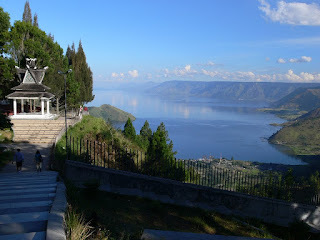 If you are interested in pursuing art or Batak culture, you can take a vacation to Lake Toba and surrounding villages. You will get a warm welcome from the Batak people, even happy they will invite you to sing and dance. You will get wonderful memories of your holidays and adventures in the Land of Batak. If you are a fan of karaoke, it seems you can find a tone, a song that was very popular. Let us sing together. © Copyright 2015 Amazing collection of YouTube videos. Designed by Bloggertheme9 | Distributed By Gooyaabi Templates. Powered by Blogger.